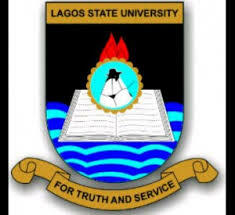 Lagos State University [LASU] Non-Academic Staffs Massive Job Vacancies and Recruitment Internal and External Advertisement for Technicians, Medical Records Officers, and Environmental Health Officers 2019/2020. Candidate must be a holder of ND from recognized institution in related field or equivalent professional qualification plus three (3) years relevant experience. Candidate must be a holder of ND from a recognized institution in related field or equivalent (relevant)/ professional qualification with nine (9) years relevant experience. Holders of HND from a recognized institution in related field or equivalent relevant professional qualification plus NYSC discharge Certificate with three (3) years cognate experience. Candidate must be a holder of ND from a recognized institution in Health Information Management/Medical Librarianship or other equivalent relevant qualification plus three (3) years post qualification experience. Candidate must be a holder of ND from a recognized institution in Health Information Management/Medical Librarianship or other equivalent relevant qualification plus six (6) years relevant post qualification experience. Holders of HND from a recognized institution in Health Information Management/Medical Record/Librarianship plus NYSC discharge certificate OR other relevant equivalent qualification. Candidate must be a holder of WAHEB ND from a recognized School of Health Technology plus three (3) years post qualification experience. Four (4) weeks from the date of this publication. Date of Publication: 19th February, 2019.